Site backup is not the sexiest online business topic. Wouldn't you rather read about smart sales methods or cool plugins that help increase traffic? But, the fact is you could, due to no fault of your own and without warning, lose your entire or some of your WordPress site. And if that happens, you have only two options: start over or reinstall everything from your backups. Starting Over? Not If I Can Help It! Clearly, starting over is the least desirable option. Who wants to reconfigure their theme, rewrite all of the content, and re-work other features, like adding sales pages and images? You've poured a lot of time, effort, and money on your site; you don't want to start over. And you don't have to. Many WordPress plugins exist that will help you backup with little effort. So, why put it off for a rainy day? It's actually very easy. Find the right backup plugin, install, do a one-time set-up and forget about it. You are then worry-free and ready to move on to the more tempting side of business...making money. and your site's database, which contains all of the content you worked so hard to create. Meanwhile, not all backup plugins are equal. Some backup both files and database, while others only do one of the two. Below are three excellent solutions that take care of both for you. EZPZ One Click Back Up: EZPZ OCB is a great free WP plugin that surprisingly doesn't get a lot of coverage. It requires Linux servers and PHP5 or higher to run (check with your host provider), which includes most major host providers. I use it with HostGator and am very pleased with the results. Once you install and activate this plugin, you input your settings such as scheduling backup times and receiving emails upon backup completion, click on update and you are good to go. You've automated the process. If necessary, you can also backup on demand. One thing to remember, it keeps only one backup on your site's server at a time. So, I use an FTP client to transfer the zipped folder to my hard drive where it gets backed up once again via my regular PC backup. This way, I can store multiple back-ups and not have to rely on my site's server (which at times, could be the source of your problems). EZPZ also offers the option to have your backups uploaded to a Dropbox file storage account, where you can keep more than one at a time for only a few dollars. If you ever need to restore your files, EZPZ has a simple two-step process. This wonderful plugin has other useful features as well. Visit their site or the WordPress plugin directory for more details. MyRepono WordPress Backup Plugin: Here's another great option that in my opinion is not receiving the recognition it deserves. This plugin offers some unique features not usually found with other reasonably and easy-to-use solutions. First of all, it works well with 99% of web servers and hosting companies, because it runs on Linux, Unix and Windows. This service automatically stores your backups in a separate online storage account, which is preferable to having them kept on your server or hard drive. There is a cost, but it's negligible being that the files are compressed and occupy very little space. My site, for example, costs me under $0.80 monthly. To make it even more affordable, MyRepono gives you a $5 credit to start you off, which can help offset costs for many months. MyRepono offers another unique feature that will thrill those who own multiple sites. Backups for all of your sites can be monitored and managed from one control panel, as oppose to each site having to be handled individually, saving you a lot of time. To get started, all you need to do is sign-up on with MyRepono, then install and activate the plugin from your WordPress site. Next, you set-up your backup schedule, which you access from your Dashboard. Your work is done. 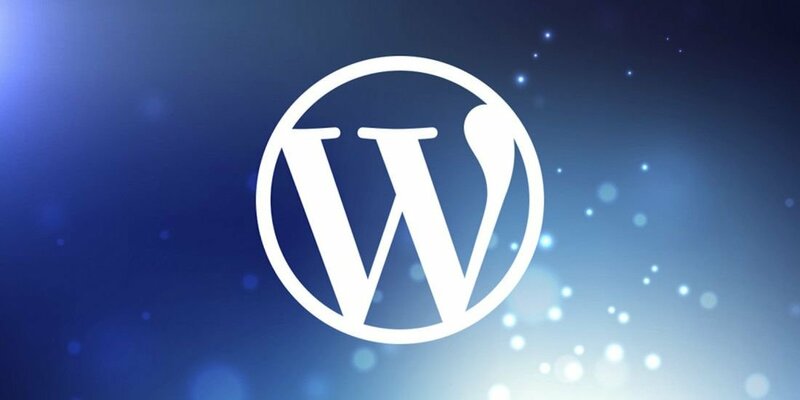 From that point on, whenever you are in WordPress, a small status box will appear on the top right corner of your screen to indicate your last backup. Instant backups, on the other hand, are done with one click from your account on the MyRepono website. If you need to restore, MyRepono does most of the work for you. It's a matter of a few clicks and it's done. Automatic WordPress Backup Plugin: Automatic WordPress Backup (AWB) plugin definitely hogs the limelight. WordPress users recommend it often, probably because it's been around for a while and does a great job. This option is a cross between EZPZ and MyRepono. Like EZPZ, it requires Linux and PHP5, which means it works well with most large host providers. Like MyRepono, AWB stores the backups on Amazon S3, an online storage service, for a few cents a day. You can automate backups as well as run backups on demand. To set-up, you have to first obtain an account at Amazon S3 and arrange your payments. You then use the "key" numbers provided by Amazon S3 to install and set-up the AWB plugin on your WordPress site. To help you install easily, a video on the plugin website demonstrates the installation and setup process. Once the plugin is installed and activated, you schedule your backups and let it do the work. Similar to MyRepono, the AWB plugin restores your site with only a few easy clicks. All three plugins offer great back up solutions. But the one that's right for you depends on your personal needs. If you only run a few websites, the EZPZ One Click Backup plugin or the Automatic WordPress Backup plugin may suffice. If you operate multiple WordPress sites, then you'll probably appreciate MyRepono's single control panel feature. And if you require optimum customer service, I would again recommend MyRepono as they provide online support waiting to assist you.